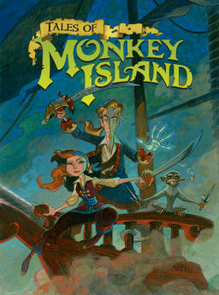 Tales of Monkey Island was delisted from Steam on November 14th, 2018 when its price was set to $0.00 making it unavailable to purchase. It remained available on PlayStation 3 for a time, possibly being delisted by the end of 2018. On Wii, if it had not been removed in late November it became unattainable when the Nintendo Wii Shop Channel was shut down on January 30th, 2019. The game was removed amid the financial troubles and rapid closure of Telltale Games in the Fall of 2018. Download codes and physical copies of the PC version remain available as of this writing but compatibility with newer hardware makes this title very nearly Extinct.